The 28th annual PwC Global Forest & Paper Industry Conference was held in Vancouver, Canada on May 6, 2015. With the theme, From innovation to action, the conference brought together several hundred CEOs, senior executives, customers, suppliers, financial analysts, government representatives and other stakeholders. Through a series of presentations and discussions, conference speakers and panellists examined a wide range of factors affecting the forest and paper industry today. Discussions touched almost every segment of the industry ranging from how companies are capitalizing on new business opportunities to adjusting their business strategy to deal with a tumultuous economic climate. VANCOUVER – Western Forest Products announced results for the first quarter of 2015. The Company reported adjusted EBITDA of $29.6 million for the first quarter of 2015, doubling adjusted EBITDA of $14.8 million reported in the fourth quarter of 2014, and a 10% decrease from record first quarter adjusted EBITDA of $32.6 million reported in 2014. Increased log shipments, an improved lumber sales mix, and the benefit of a weaker Canadian dollar in the first quarter of 2015 were offset by challenging lumber and log markets in China and Japan, and slower than anticipated growth in the North American commodity lumber market. Revenue of $248.6 million was 7% higher than the fourth quarter of 2014 and 1% higher than the first quarter of 2014. Canfor Canal Flats mill employees finally had some positive news, even as mass layoffs finally took effect earlier this week. The layoffs, which were first announced in February, came into effect on Monday, May 4th, but the week prior, mill employee Daniel Bybee — who had expressed critical opinions of how the company was handling the situation in previous Pioneer stories — had some positive feedback on Thursday, April 30th. “It’s a way brighter picture than it was,” said Mr. Bybee. “There’s some good things.” Chiefly among these positive developments is that Canfor and Local 1-405 of the United Steelworkers District 3 union (which represents the mill workers) have agreed to early retirement packages for 15 workers who have more than 30 years of service at the mill. Interfor has reached an agreement with The Price Companies, Inc. to acquire Price’s sawmill in Monticello, Arkansas. The Monticello Sawmill is located in Southern Arkansas, approximately 90 miles southeast of Little Rock. For the last 12 months ended March 31, 2015, the Monticello Sawmill produced approximately 75 million board feet of lumber (176,000 m3)… As a result of this transaction, Interfor’s total annual lumber capacity will increase to 3.2 billion board feet (7.5 million m3). The company’s lumber capacity in the US Southeast will total 1.3 billion board feet (3 million m3), representing more than 40% of the company’s total pro forma capacity. Resolute Forest Products share price traded down 12.4% during trading on Thursday following a dissappointing earnings announcement, American Banking and Market News reports. The stock traded as low as $12.87 and last traded at $13.23, with a volume of 639,052 shares. The stock had previously closed at $15.11. The company reported ($0.32) EPS for the quarter, missing the Thomson Reuters consensus estimate of $0.09 by $0.41. The company had revenue of $920.00 million for the quarter, compared to the consensus estimate of $1.06 billion. During the same quarter in the prior year, the company posted ($0.27) earnings per share. The company’s quarterly revenue was down 9.4% on a year-over-year basis. Weyerhaeuser Company reported first quarter net earnings to common shareholders of $90 million, or 17 cents per diluted share, on net sales of $1.7 billion. This compares with net earnings of $183 million, or 31 cents per diluted share, on net sales from continuing operations of $1.7 billion for the same period last year. Excluding after-tax charges of $9 million for special items, the company reported net earnings of $99 million, or 19 cents per diluted share for the first quarter. This compares with net earnings from continuing operations before special items of $143 million for the same period last year and $145 million for fourth quarter 2014. Hampton Affiliates’ all six of its western U.S. sawmill operations impacted by a “rolling curtailment” plan, started with three facilities during the week of May 4 and shifting to the next three during the week of May 11, as Random Lengths reports. That schedule will be reviewed, then adjusted or continued according to changes in current market conditions. Overall board footage impacted by the curtailment will be over 30 million board feet, and involve all of Hampton’s U.S. stud and dimension operations. Lumber Liquidators Holdings Inc. is suspending sales of laminate flooring from China until a special committee of its board finishes studying suppliers’ certification and labeling processes. The committee has hired Freeh Group International Solutions, led by former FBI director Louis Freeh, to help with the review, Toano, Va.-based Lumber Liquidators said in a statement Thursday. Lumber Liquidators is trying to win back customers that it lost after “60 Minutes” aired a report saying it sold Chinese-produced laminate flooring with excessive levels of formaldehyde, a known carcinogen. The hardwood industry is producing common-grade red oak at a much faster pace than markets can absorb it, and with log yards at many sawmills stacked high and warm weather coming, that situation won’t change anytime soon. Flooring plants will open their gates a little wider for red oak as they work down inventories and flooring sales seasonally improve. Buyers in Asia, Mexico and the Middle East will also purchase more. Supply will continue to outrun demand, however, and keep prices falling for most red oak items through at least mid-year. Sluggish domestic demand is clouding the overall cherry outlook despite improved exports. Cabinet and furniture manufacturing — key domestic markets for cherry — are growing slower than expected, or not at all, and flooring sector purchases of cherry are now very low. EU imports of softwood plywood were 1.3 million cu.m with value of €365 million in 2014, up 13% and 9% respectively compared to the previous year. Imports from Brazil increased 17% to 883,000 cu.m in 2014. Brazil’s share of total imports increased from 66% in 2013 to 68% in 2014, continuing an upward trend in share that began in 2011. Imports from Chile also increased 23% to 163,000 cu.m in 2014, recovering from a decline in 2013. Between 2013 and 2014 Chile’s share of total EU imports increased from 12% to 13%. However imports of softwood plywood from China declined 5% to 162,000 cu.m in 2014. China’s share of EU imports fell from 15% to 13% during the year. Amherst, MA – Now under construction, Leers Weinzapfel Associates’ Design Building at the University of Massachusetts Amherst will unite the school’s dispersed programs in Landscape Architecture and Regional Planning, Architecture, and Building Technology under one roof. A dramatic demonstration of sustainable design and material research, the 80,000 GSF edifice will be one of the first institutional buildings in the Northeast to employ an engineered mass timber structure. It will be a dynamic place of exchange, collaboration, and experiment celebrating a shared commitment to the environment… Supported by a 2014 Environmental Bond Bill grant and developed by an international wood structural design team including Vancouver-based Equilibrium Consulting Engineers, the new edifice will demonstrate leading-edge timber engineering. [Woood] could soon become increasingly prevalent in the construction of large-scale structures due to its rising cost competitiveness and intrinsic sustainability benefits. According to Perry Forsythe, professor of Construction Management at the University of Technology Sydney (UTS), new research indicates that timber is an economical building material for large-scale building projects as long as the right conditions for its usage are in place. Forsythe, who will be sharing his expertise on timber building solutions at this year’s Frame Australia Conference and Exhibition on engineered wood construction systems in June, points in particular to the results of a recent collaborative initiative between UTS and the Timber Development Association to investigate timber’s potential as a building material for office and residential projects. Kildare County Council has refused to publish a report highlighting major fire concerns in a housing estate where six homes were destroyed by fire in late March. The report raises concerns about party walls in the timber frame houses, and other serious construction flaws which, in the event of a fire, could result in a rapid spread of flames between homes. …Among the serious deficiencies uncovered in the report is the unsuitability of material used in the party walls — the walls separating attached houses — and the fact that party walls were not built all the way to the underside of the roof. …The houses were built in 2006 by Barrack Construction, which has since gone into liquidation. They were built using timber frame construction, which requires a high degree of specification. Global viscose giant Aditya Birla has announceed its industry-leading policy to eliminate any sourcing from the world’s ancient and endangered forests for all of its viscose fibres, which are widely used in clothing and textiles, according to a report by Canadian environment NGO Canopy. The Birla company is the world’s largest producer of viscose, manufacturing 20 per cent of global supply of the material, which is made from wood pulp. The commitment applies to wood and pulp sourcing for all its mills, including those in Canada, Indonesia and China. Aditya Birla worked with Canopy to craft this game-changing policy, which offers new hope for solutions in places like Canada’s Boreal. The arena, swimming pool and McLean Mill all lose money and we have lost past industrial base… McLean Mill, our last adopted dependant was supposed to be self-sufficient $14,000,000 ago. Richard Berg once calculated the mill’s welfare subsidy amounted to $20/visitor… If McLean Mill is a make work project, is it cheaper to pay workers severance and direct tourists to our other aging mills (Somass and APD) that won’t update because they fear trees will all be exported? Sunshine Coast Community Forest’s annual general meeting was held on Monday, April 20 at the Sunshine Coast Botanical Garden… The year was profitable at $706,499 and the District of Sechelt was presented with two cheques: one for $25,890 as a 15 per cent return on the initial investment capital, and an extraordinary dividend for $500,000. This is the third time an extraordinary dividend has been paid to the District of Sechelt. With the appointment of two new directors, Bob D’Arcy and Fidel Fogarty, the board for 2015/16 is comprised of nine people including Stan Anderson, Tim Anderson, Tom Pinfold, Brian Fournier, Peter Moonen, Tony Greenfield and Glen Bonderud. When Jonathan “Scooter” Clark began planting trees for a living in 1990, his work camp was “bush league” at best. By comparison, the modern-day tree-planters seem like a spoiled bunch. “We had two station wagons in our first camp, and a couple of two-wheel-drive trucks,” says Clark, 46, who works in a camp that today uses all-terrain vehicles, four-wheel-drive trucks, and even helicopters. …”Over 20 years, I think camps have gotten a lot better, the industry has gotten a lot safer. A lot more money has gone to comfort,” added the 25-year veteran. …But not all the changes have been for the better. Since the early 2000’s, tree planting wages in B.C. have dropped substantially. The ban was put in place on Wednesday by Quebec’s ministry of forests, fauna and parks. Areas from Quebec City to the Outaouais region and everything south of that fall under the ban, including Montreal, Laval and parts of the Eastern Townships. The ban was expanded Thursday to include all areas of the province south of the 47th parallel. The ban was announced at the same time as a fire ripped through six hectares of forest in Mont St-Grégoire Wednesday. According to the Société de protection des forêts contre le feu (SOPFEU), the fire was started by a resident burning a fire nearby and was controlled by Thursday morning by local firefighters and two air tankers. Athough lightning strikes more often in Florida than any other state, it doesn’t spark as many wildfires as arsonists. The Florida Forest Service is renewing its push for the public to keep an eye out for any suspicious activity, such as people returning and lingering around wildfires or actually setting a fire. “We have just have a lot of wildfires that are intentionally set by humans in South Florida,” said Scott Peterich, wildfire mitigation specialist for the Florida Forest Service. Fighting wildfires from the air — Is it cost effective? SACRAMENTO, Calif. —Fighting fire from the air is one of the most expensive costs fire agencies accrue when battling a wildfire. The aerial attacks in the Rim Fire alone cost taxpayers nearly $11 million, $8 million for the aircraft and another $3 million for the retardant. The U.S. Forest Service is now trying to determine actually how effective is dropping water and retardant from the air. “When the planes come over it’s just like you won the Super Bowl or something. It’s exciting to see those huge DC-10’s, I believe, coming so low and dumping all that retardant,” said Groveland resident Chris Loh. ORIENT, Wash. — A fire official says a logging helicopter that crashed in heavy timber near the town of Orient in northeast Washington has ignited a wildland fire that is growing unchecked. The female pilot was rescued and taken to a hospital in stable condition. Herb Hippler is chief of a joint fire district for parts of Ferry and Stevens counties. He said the Forest Service and state Department of Natural Resources are expected to attack the 60-acre wildfire Friday, when high winds and low humidity are forecast. 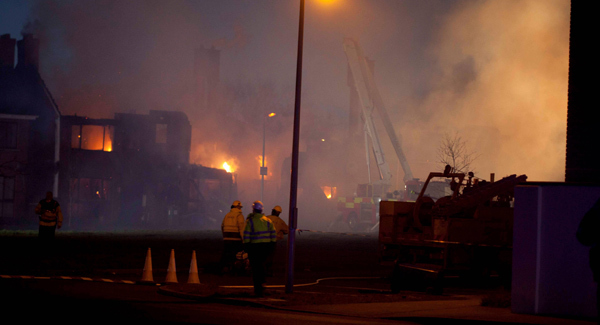 It was too dangerous to fight the fire overnight after the helicopter crashed Thursday evening. Hippler says his department will protect a half dozen homes in the area. Three dozen southeastern Oregon residents met with forest officials this week to discuss future management of the Fremont-Winema National Forest. According to U.S. Forest Service Spokeswoman Erica Hupp, on Monday and Tuesday the agency held listening sessions for a Land and Resource Management Plan, commonly called a forest plan. The plan being developed will provide direction for forest land management activities on the Fremont-Winema National Forest. The forest is currently managed under two plans because the Fremont and Winema forests were separate before 2002. PORT ANGELES — U.S. Rep. Derek Kilmer will launch the Olympic Peninsula Collaborative, a timber partnership with an environmental bent, in Port Angeles on Friday. The gathering will be at 10 a.m. at Port Angeles City Hall, 321 E. Fifth St. Kilmer, D- Gig Harbor, will host an interactive panel discussion on how the collaborative will seek to benefit the environmental quality of area forests and support sustainable timber harvests on the Olympic Peninsula. The collaborative “is the first of its kind on the Peninsula solely dedicated to creating environmentally sound forests while increasing sustainable timber harvests,” Kilmer’s office said in a press release. BANGOR, Maine — About half a dozen wildfires kept forest rangers and firefighters busy Thursday as the state continued to experience dry and warm conditions. …Kent Nelson of the Maine Forest Service said early Thursday evening that forest rangers and other fire crews also dealt with wildfires in in Lubec, the town of Penobscot, Lincolnville and Alexander. …In Lincolnville, a campfire that got out of control early Thursday afternoon led to a fire in the woods and a criminal summons for the man who set it. …Nelson said the Alexander brush fire was caused by a blueberry field burning operating that escaped its intended perimeter by about an acre. ..Warm afternoon temperatures, low relative humidity and gusty, dry winds are a recipe for wildfire, Nelson said. It’s tough enough being an endangered species, with the threat of extinction always looming. But it’s even tougher being one that only exists in a single location in the entire world — meaning if that location were damaged, your already dwindling population could be totally wiped out. A collection of conservation organizations known as the Alliance for Zero Extinction (AZE) has mapped out areas on the Earth that house these endangered “endemic” species (species that are only found in one region). These AZE sites — 587 of them in total — are crucial for the survival of the endangered endemics that live there. Now, a new analysis released by the World Resources Institute (WRI) provides updated information on just how much tree cover we’re losing in these habitats around the world. Across the Atlantic, our colleagues have launched a terrific new website to spotlight the good, the bad and the ugly when it comes to biomass energy. Chock full of valuable information and complete with gorgeous graphics, the site’s hosts at BirdLife Europe, European Environmental Bureau and Transport & Environment hope it will serve a platform to “explore the limits of sustainable bioenergy in Europe”, open to expert blogs, articles and other materials on bioenergy impacts. 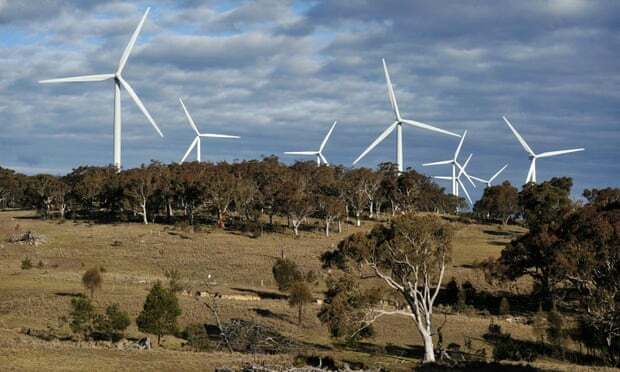 The federal government and the opposition have held on-off talks for several months over a deal to cut the renewable energy target (RET), which mandates that 41,000 gigawatt hours of Australia’s energy must come from renewable sources such as solar and wind by 2020. Talks between Greg Hunt, the environment minister, Ian Macfarlane, the industry minister, and Mark Butler, Labor’s environment spokesman, in Melbourne on Friday agreed that the RET be cut to 33,000GWh, with exemptions for energy-intensive industries such as aluminium. However, Labor has objected to part of the deal after claiming that the government introduced a last-minute amendment that the burning of wood waste be included in Australia’s renewables target. The burning of native wood, or other biomass, for energy is viewed as environmentally damaging by the Greens and some conservation groups. The Tasmanian Opposition has swung behind the Federal Government’s position on the inclusion of biomass in the revised Renewable Energy Target (RET), putting it at odds with its federal counterparts. After months of wrangling, the Federal Government and Opposition have found common ground on a revised RET. One sticking point remaining is the inclusion of the burning of native wood waste as a renewable power source, which Federal Labor opposes. …Mr Green told the ABC there was scope to start a wood waste power generating industry in Tasmania, if it were included. If we are serious about tackling climate change, we need to talk about Indonesia. While it may not be the country with the highest emissions from energy or industry, what Indonesia does have is forests, and lots of them. Many of the country’s more than 13,000 islands are blanketed by vast green jungles that absorb carbon and store it in trees and soils. But Indonesia, like many fast-developing countries, is subject to widespread deforestation, releasing carbon pollution back into the atmosphere. 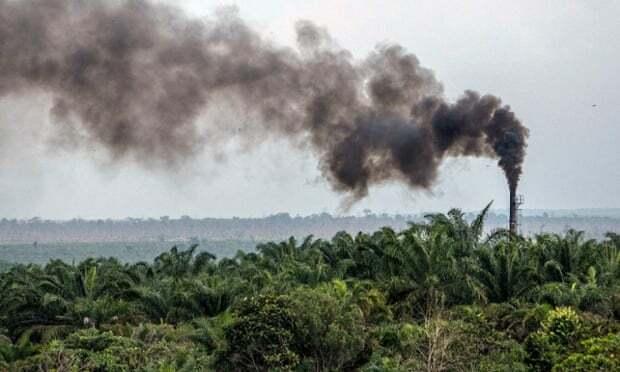 Deforestation and land use change drives about 80% of Indonesia’s greenhouse gas emissions, which according to some estimates makes it the world’s fifth biggest emitter. 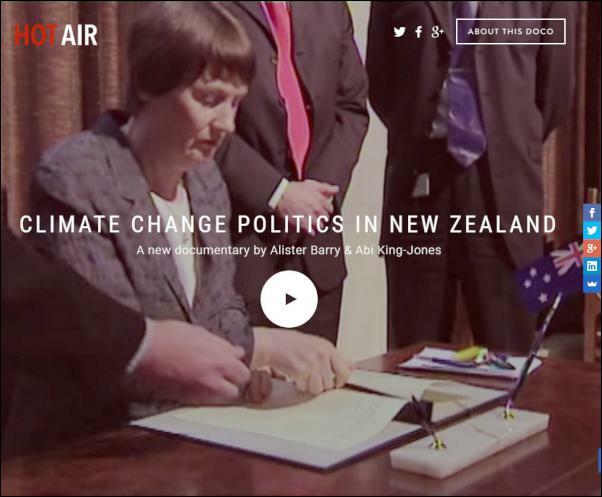 “HOT AIR – Climate Change Politics In NZ” – the award-winning feature length documentary which reveals how big business stopped NZ Government action on climate change – is being launched for on-demand free viewing today. …HOT AIR chronicles the expensive campaigns mounted by business leaders to delay and obstruct the efforts of National and Labour governments to slow down global warming. Fearful that carbon tax and similar proposals would cut their profits, the men in charge of some of New Zealand’s biggest businesses hired local and foreign propagandists and climate-change deniers to discredit scientific reports and reverse growing popular and political support for action to reduce global warming.